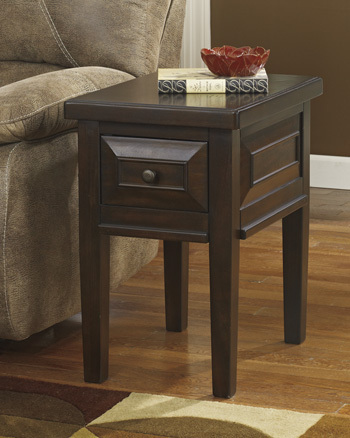 Item Description: With unique raised-panel design, subtly tapered legs and rich finish, Hindell Park square chairside end table offers a more refined take on rustic. Classic farmhouse styling is enriched with a warm rustic finish, enhanced with saw and rock marks for great timeworn character. 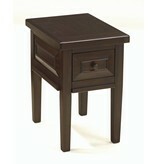 Ample storage drawer with dovetail construction is built for quality and convenience. 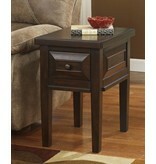 Series Features: Made with select Mango veneers and hardwood solids in a warm brown rustic finish. Dark antique brass color knobs. 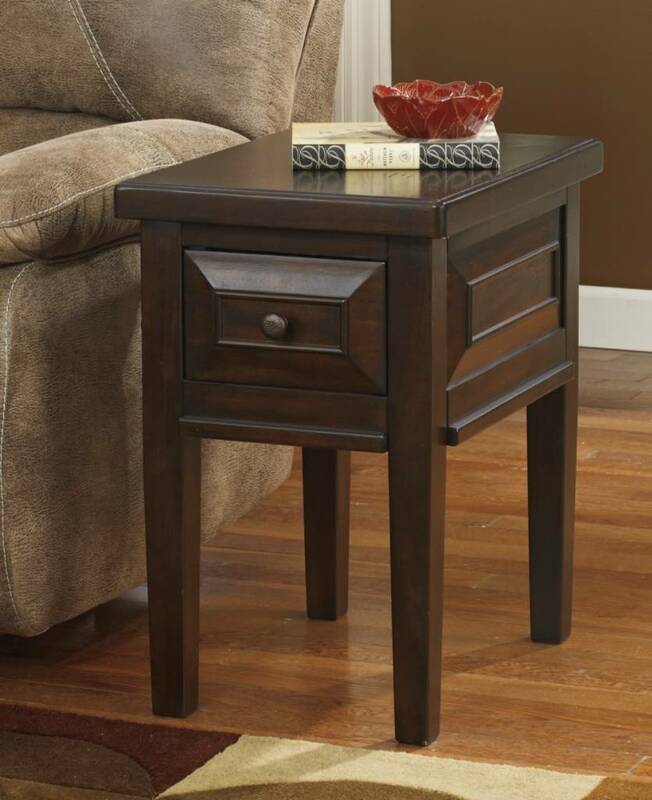 Cocktail table and end tables have dovetail drawer construction and ball bearing guides. Raised panel sides. 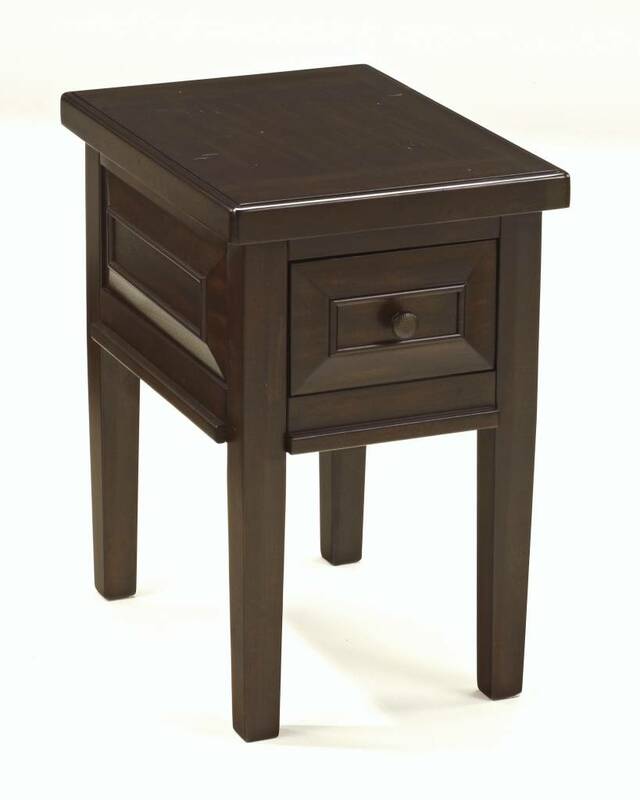 Cocktail table has lift top.